Summary: Today, much of the world’s dining included breakfast at church. Many more will have special dinners with family and friends. However, a knowledgeable Christian realizes that the day’s most important meal is supper — the Lord’s Supper. Eating and drinking are essential parts of our lives. We also forge and sustain relationships with others through table fellowship. We know that we enter table fellowship with God at our Lord’s Table but we still might wonder: While we eat what God provides, what (if anything) does God eat? Isaiah answers us: God eats death and all its trappings. He dines on Devil, death, and hell in Jesus’ death and resurrection. As we swallow our Savior’s body and blood in the Lamb’s Victory Feast, we do so knowing that He swallowed up the enemies that stood between us and eternal life with His Father. 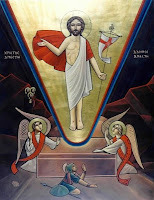 Sermon Text: On this mountain the Lord of hosts will make for all peoples a feast of rich food, a feast of well-aged wine, of rich food full of marrow, of aged wine well refined. And he will swallow up on this mountain the covering that is cast over all peoples, the veil that is spread over all nations. He will swallow up death forever; and the Lord God will wipe away tears from all faces, and the reproach of his people he will take away from all the earth, for the Lord has spoken. 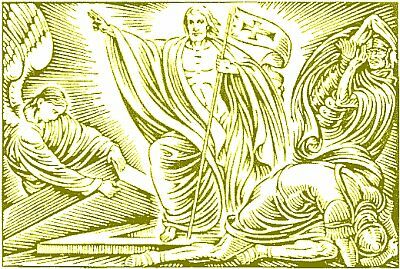 Audio: Click to hear the MP3 of Dining on Death, preached to the saints of God at Faith Lutheran Church, Knob Noster, Missouri. 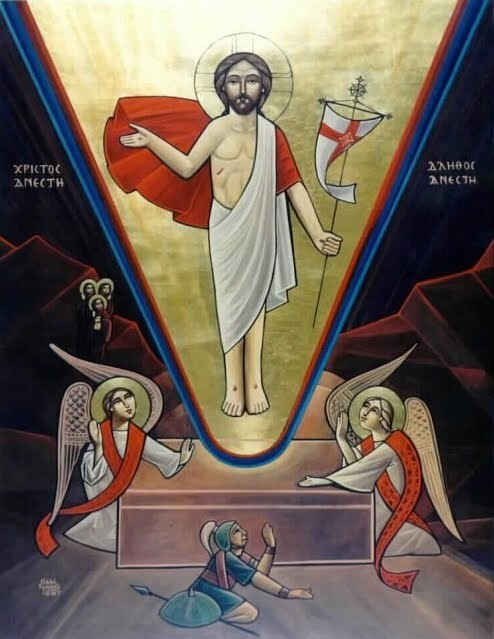 Please visit Aardvark Alley to read The Resurrection of Our Lord, which includes Saint John Chrysostom’s Paschal homily celebrating death being swallowed up by the One whom it swallowed.